Oracle 18c introduces new feature called MemOptimize pool, a memory area in the system global area (SGA). We can increase the size of the memoptimize pool by manually adjusting the MEMOPTIMIZE_POOL_SIZE initialization parameter. Tables must have primary key column then only we will achieve the expected performance from the query level. Tables should not be compressed. Compressed tables not suitable for Memoptimized Rowstore option. To set the size of MEMOPTIMIZE_POOL_SIZE parameter. Note this parameter is not dynamic and required database restart. 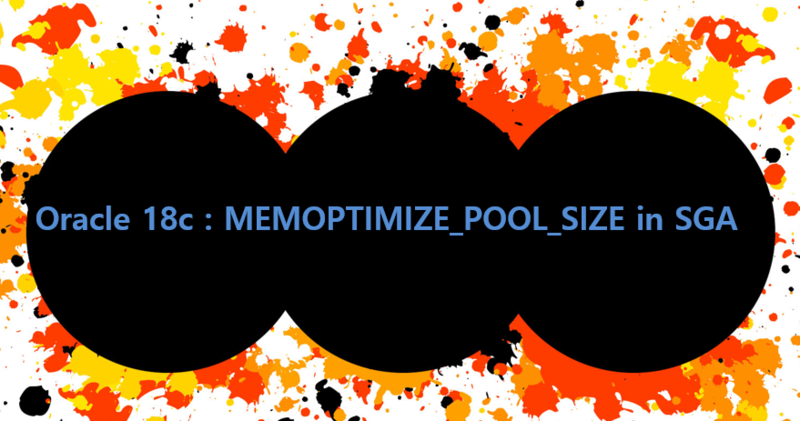 Now the MEMOPTIMIZE_POOL_SIZE parameter value has been changed to 1GB. Create table with Memoptimized Rowstore option. Alter the existing table for memoptimized read.